With immediate effect Benjamin Schurer takes on the position of Senior Retail Manager / Merchandise management (EDI) for Beheim International Brands. 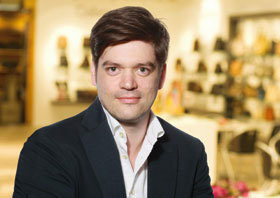 Benjamin Schurer has extensive branch experience and was recently responsible for the merchandise management and planning in the wholesale division of the TOM TAILOR Group in Hamburg. In his new position he is responsible for further developing and extending the successful, vertical merchandise management, the corporate group services and a consistently business development of the four dynamic license brands of Beheim International Brands. The merchandise management division is being strengthened additionally by Daniel Zoller, who supports the team as per February 01, 2017.